Android phones are great to own but unfortunately, they aren’t perfect. Sometimes there are these small niggling error messages that turn up and ruin your user experience. One such error is the Screen overlay detected error, which usually pops up when you have a floating app running. Android phones, especially those running on Marshmallow and higher are susceptible to the screen overlay detected error. This is an annoying error because you need to disable the feature before going ahead with whatever you were doing. What Causes Screen Overlay Detected error? 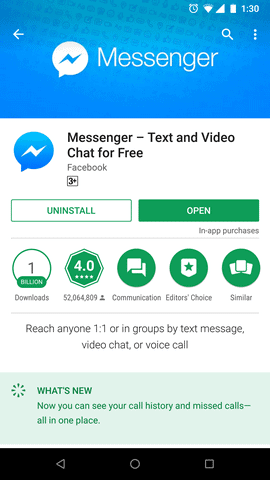 Screen Overlay detected error is caused when you run a floating app on your device like Facebook Messenger and then open a newly installed app over it. Android automatically sends a Screen Overlay error message asking for access rights for the new app. It has been noticed in devices such as Samsung, Motorola, OnePlus One, Lenovo etc. running on Android Marshmallow and higher. This error can occur when you are running apps such as ES File Explorer, CleanMaster, Drupe, Lux etc. that draw over other apps. Luckily, this error is quite simple to fix, all you have to do is to turn off the phone overlay feature in settings. This article explores the best ways of fixing the screen overlay detected pop up. 6. 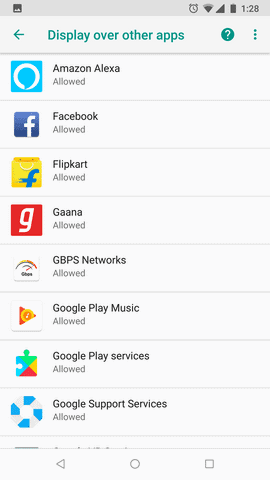 You will find a list of apps that use the feature. 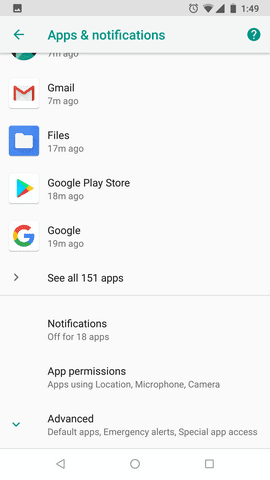 In stock Oreo, the notification lets you know clearly which app is drawing over other apps. Just toggle the settings for that app to remove the notification. 5. This will open a list of apps that are drawing over other apps. Open each item and toggle the settings to remove the Screen Overlay detected error message. 3. Tap on Application Manager. On this screen, tap the More button on the top corner and select Apps that can appear on top. 4. 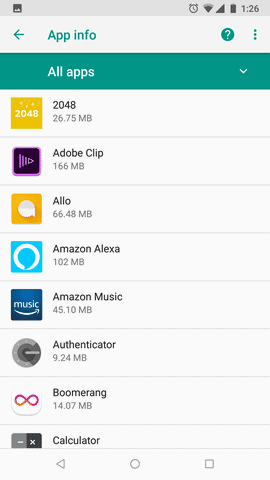 A list of all apps that draw over other apps will open. 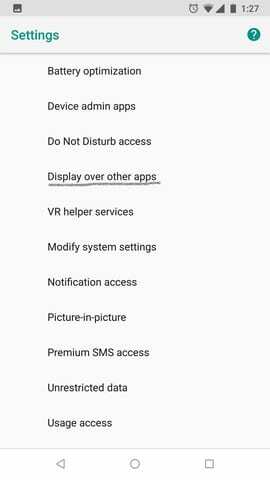 In Samsung phones, you can toggle this setting right from this screen without having to click on each app listed there. 2. Tap on Apps. On this screen, tap the three dots overflow button on the top right corner and select Configure Apps. 3. Scroll down and tap on Draw over other apps. 4. You will see a list of apps that draw over other apps. 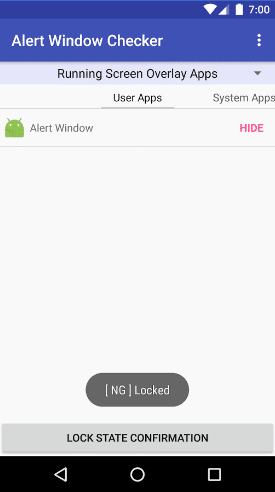 Toggle the settings to remove the screen overlay detected error. Some apps such as Clean Master, File Manager, ES File Manager etc that draw over other apps are known to cause the screen overlay error. Restart the offending apps to remove the error. If you are sure of which app is causing the error to appear, the easiest way to deal with the issue is to uninstall the app. 4. 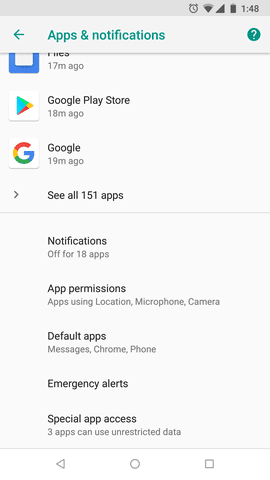 Apps such as Clean Master, File Manager, Drupe, Lux, CM, DU apps like Battery Doctor, Booster, Cleaner, 360 Security Booster Rocket, screen dimmer apps, Screen Recorder etc. are known to cause this error. If you have these apps on your mobile phone, quickly uninstall and restart the phone to remove the error. Sometimes, resetting app preferences can get rid of the screen overlay error. 4. 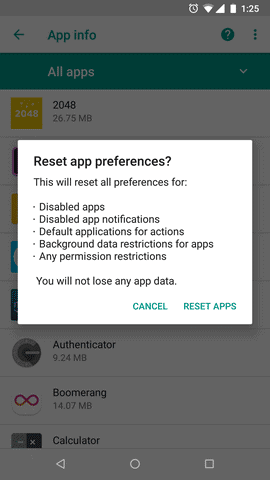 Tap on it to reset all app preferences. 5. Restart your phone and check if the error has been fixed. There are a few apps on Play Store that can help with the issue. This solution is not always recommended because it involves the download of extra software that may or may not come with its own set of ads and permissions. Keep this as the last resort to try if nothing else works. Download and run these apps to detect and fixes the “Screen Overlay Detected” error. 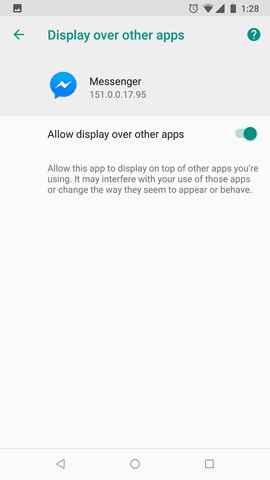 This article outlines the best ways to deal with the Screen Overlay Detected error on Android devices. We hope these methods worked for you; do let us know in the comments if there is a better way to remove this glitch.